have readers enjoying your printed book all over the world! Offer expires January 8th. To redeem the course for FREE, use coupon code HAPPY2015 or copy and paste the URL, https://www.udemy.com/make-paperbacks-with-createspace-sell-more-books-on-amazon/?couponCode=Happy2015. And if you enjoy the course and the free gift, please do the courtesy of leaving a course review at Udemy. 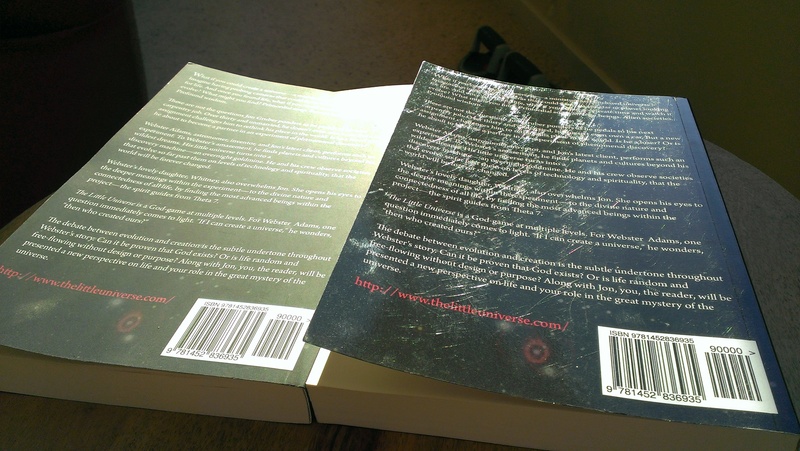 What kind of CreateSpace cover does your paperback need? There are pros and cons to each. Matte is often preferred for novels, gloss often preferred for non-fiction. This video and photos below speak volumes. 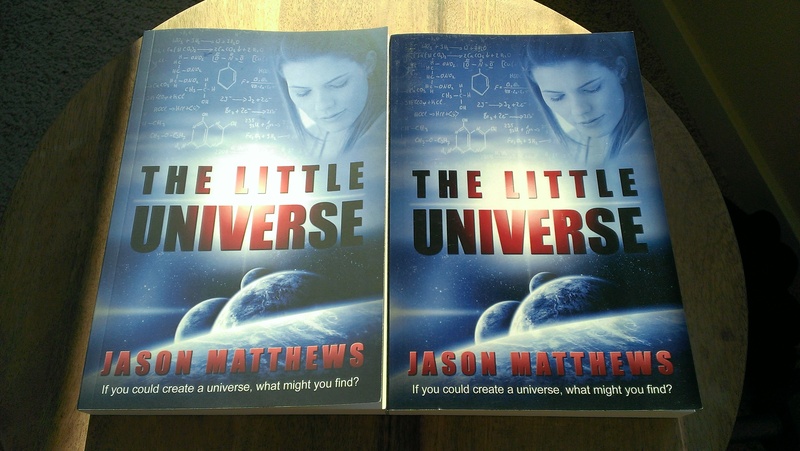 The matte cover is on the left. The text is a bit easier to read and overall aesthetics may be better. But the glossy cover has richer tones, most noticeable in darker colors. In the 2nd photo, the sheen is more obvious as seen at an angle with light in the background. Small scratches and fingerprints come out from the thicker layer of gloss in the laminate. However, the cover curl is already worse with the matte book, which is a concern because it’s 2 months newer than the book on the right. Again, you can see from the back cover (on left) how different the richness of the colors comes across. It’s surprising how much more prominent the darker areas show. This may be a deciding factor if your cover has rich or dark colors compared to one that has mostly lighter colors. At an angle, the scratches and fingerprints are less desirable. But the durability over time and the ability to wipe it clean with a wet cloth might make up for that. In the end, it boils down to personal preference. 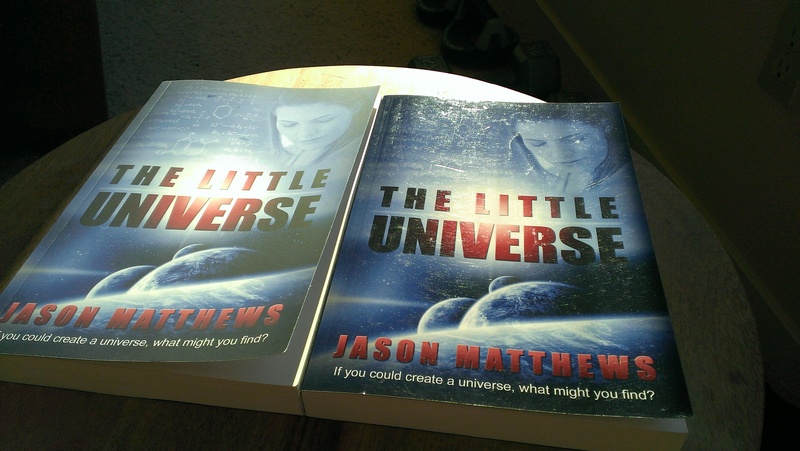 For now, CreateSpace recommends matte for novels and glossy for non-fiction, so that’s my plan. Hopefully soon, they’ll let the buyer select the choice instead of leaving that with the author. Do you have a clear preference? Let me know in the comments. 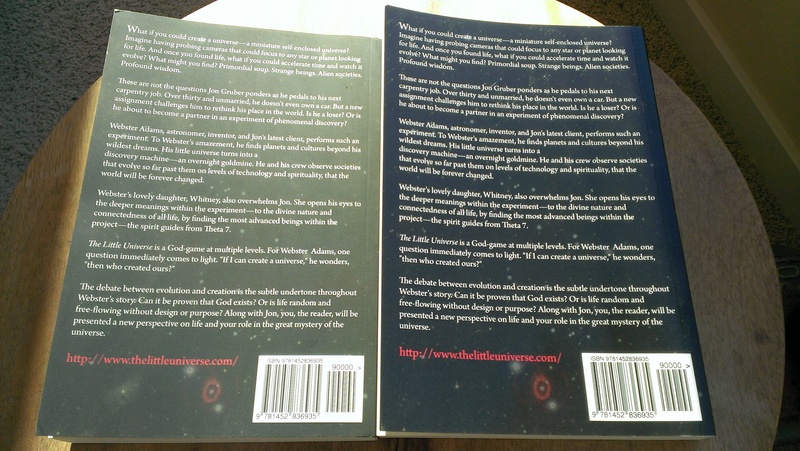 Love what CreateSpace has done for the digital proofs of books. Gone are the days of waiting on snail-mail to see what a book will look like pre-publication (although that can still works wonders for editing, etc). Now you can get a feel for everything online thanks to the new design. Here’s a video showing the digital proof process in real time.